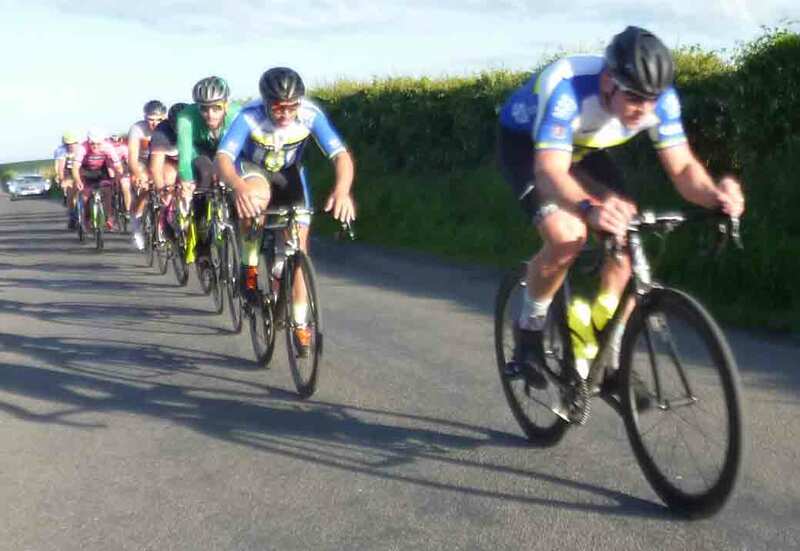 Following his victory in the Red Hand Trophy classic road race last weekend, Ian Inglis (Black Rose) added another impressive result to his 2017 palmares with victory in tonight’s Ards CC club road race in Carrowdore. The second group worked well, but some riders were already looking round nervously by the second lap. The handicappers split the 35 starters into four groups, with the front group getting 5 minutes on the second group and a further 2 minutes on the third group. Scratch, including Ian and 3 Ards riders (Gareth Murray, Paul McMinn and Ricky Topping), were held for another 30 seconds. Scratch had caught the third group by the second lap, and were rapidly chasing down the other groups. All the groups worked well, but by the end of the third lap scratch had caught the second and third groups. Early on the fourth lap, Ian attacked alone, and steadily opened a gap that had grown to over 30 seconds by the finish on lap 5. In the sprint for second, Liam Curran (Curran) took the big bunch sprint, just ahead of Paul McMinn, with Rick Topping, Mark Thompson ((Bikehouse) and David McCamley (Ards CC) filling out the top six. 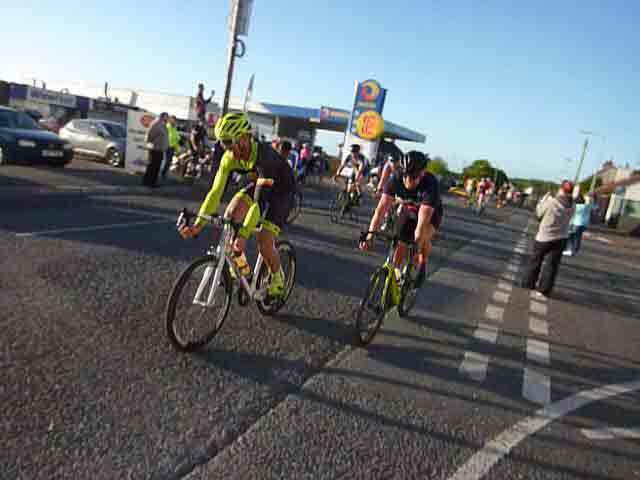 In the battle for Ards CC road race points, Gareth Murray, Matt Ormisher and Niall Brown took the final three places. Given that scratch didn’t reach the front in the first road race, we now have 11 riders with points, and all to play for in the road race trophy. Thanks as always to the time keepers, judges, handicappers, marshals and lead car. 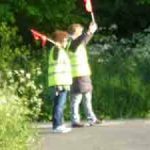 It was great to see so many enthusiastic marshals out, and to see club president Bobby Magreechan taking his traditional position in the lead car. We couldn’t run these races without you!